-It was a very valuable learning experience,Mark was friendly,personable,easy to learn from,he made class relevant. -Overall a very valuable learning experience,I feel more confident as a teacher and I am excited to get back in the classroom and use new material I have learned. -The content was excellent and proceeded at an appropriate pace.The class seemed interested.Mark did an incredible job and was obviously passionare about his work.The location were ideal. -I thought it was good.The hotel and breakfast were nice.The trainer knew what he was talking about and had a ton of in class teaching examples.A week class will probably always feel a bit rushed but we definitely got through a lot of important content. -I liked the practical focus of the course.I would have loved to have more chinese students to practice with.I really enjoyed the course.I feel much more confident entering a classroom now. -The content was well-selected and the trainer was always lively and prepared. -Need additional work on how to write/craft effective lesson plan. Run through step by step how to craft more effective lesson plan. -Trainer is kind, content about culture is very useful. Would have liked more actual teaching practice. -Compress some of the lessons where we act only as students and spend more time analyzing why the trainer did what he did, so we can apply them more explicitly. -I thought the class was great. 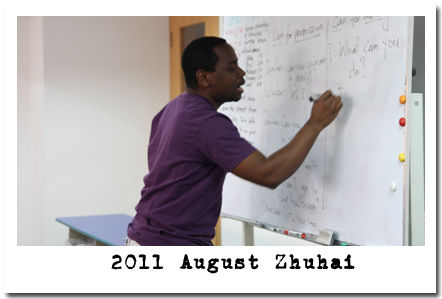 I would have liked to learn a bit more on the specifics of lesson planning and lesson conduction, but overall the trainer did a great job giving the class a well rounded education in teaching English in China. -Good fun and educational, learned as much from the other students as I did from class. The right balance of formal and informal. -The group made it a wonderful experience. I think it’s important to put people together according to their age group. -I am very satisfied with the training. 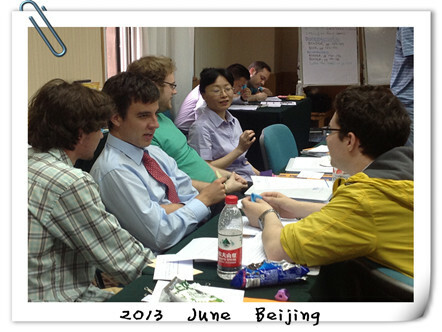 I met interesting people, learned a lot and expanded my teaching abilities and qualifications. (Jessica Ward) -Everything is really helpful and insight. I learn new things every time I step into the classroom. The training is fantastic. I wish it was longer. (Paul Muir) -The training classes were well formatted. The content was well arranged. The trainer was fun and interesting. 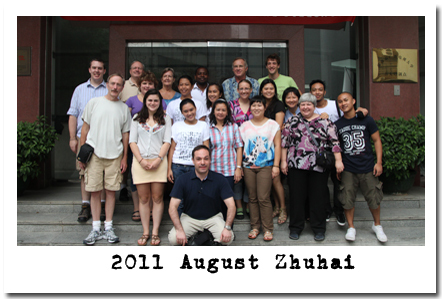 He kept us on track, shared the teaching experiences and everything relevant. (Sapna Tyagi) - Content is knowledgeable. It covers all the necessary aspects. The trainer Mark is the best trainer for me. The arrangement is very well done. 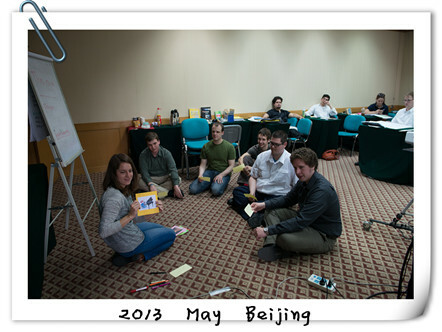 (Wendell Wilson) -- I attended the 7-day 'TEFL in China' and believe that this training should be attended by all individuals wishing to teach English in China, no matter at what level. The content of the course, the trainer and the location was very professional. I was overwhelmed with the amount of information and the scope of that information, all of which will only serve me to be a better teacher. I have a BA in Education and have taught in Korea for over 5 years, this course has raised my level of professionalism to a new level. 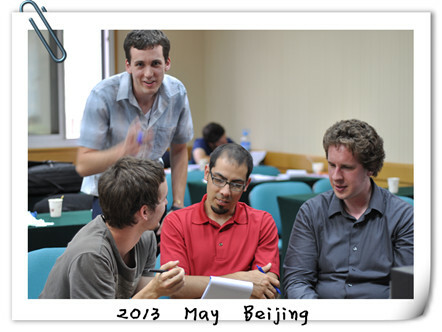 I believe that if you are serious about teaching in China and wish to be the best that you can be, this is the course for you. 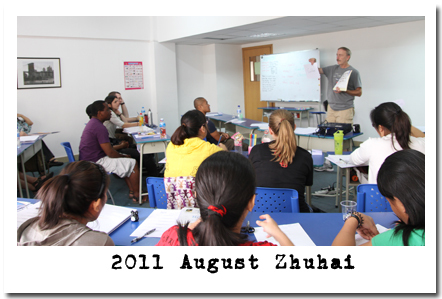 If you are like me and wish to see the standard of English education and the respect of the profession of teaching spoken English in China raised then this is the course that you need to take. I cannot recommend enough this training for you as a teacher, for the teaching profession, for your students and for China as a whole. (Hellen Wu) – The program is grooming and helping teachers to train students in better ways. The trainer is excellent. I really enjoyed the class, all the people, and got a lot out of it. (Johnaon Lans) --Very good and applicable to my expectations. 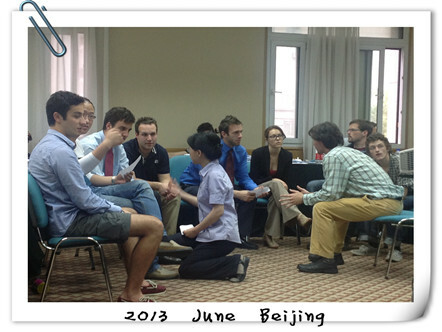 The TEFL training is worth doing.Useful,interesting and organized very well.